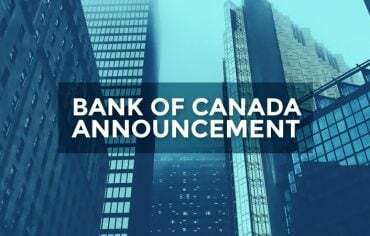 The Bank of Canada (BoC) released its scheduled interest rate announcement and monetary policy report this morning, and the target for the overnight lending rate will remain at 0.50% for at least six more weeks. The BoC has made it clear in recent weeks that their focus is on inflation, and inflation alone. And until the inflation rate veers away from their 2% target, interest rates will be staying flat. BoC Governor Stephen Poloz sent a message in the month of October. “We knew that easing policy would have implications for financial stability. However, we also knew that those concerns had to remain subordinate to the primary mission of achieving our inflation target,” he said in a speech on October 12th. In the announcement made this morning, the BoC said, “Global economic growth has been a little weaker than expected this year,” but, “the Canadian economy can be expected to return to full capacity, and inflation sustainably to target, around mid-2017.” In other words, don’t expect an upward trend in interest rates in the near future. Today’s announcement means things will carry on as usual if you have a variable rate mortgage or loan – prime rate has held steady at 2.70% since July. 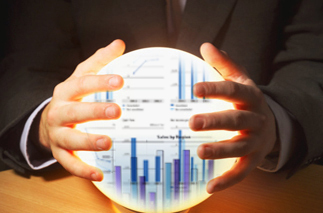 A number to watch will be the spread between fixed and variable rates. Right now, the difference between a 5-year variable rate mortgage and a 5-year fixed rate mortgage is only about a half a percentage point, making fixed mortgages a more attractive option. Variable rates have historically been the less expensive choice, but it’s a trend we’ll be keeping an eye on. The next and final Bank of Canada rate announcement of 2015 is scheduled for December 2nd.